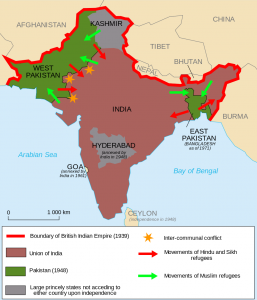 August 17th marks the 70 year anniversary of the official partition of India and Pakistan. Although soon after independence in 1947 Pakistan and India established diplomatic relations, the two neighbours are infamous for their violent geopolitical tension as they have fought four wars in 1947, 1965, 1971 (Independence of Bangladesh) and 1999. The two nations have not even played a five-day Test cricket match against each other since 2007. Thus, it is clear that the relationship between the two nations is still scarred from the partition 70 years ago. 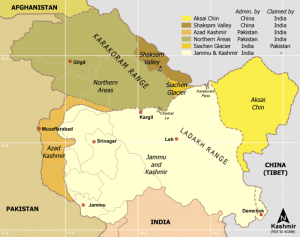 Territorial disputes over Kashmir, home to 12 million people, still remain strong to this day between India and Pakistan. India claims the region because the Maharaja (ruler) in Kashmir has ceded Kashmir over to India as a result of the ‘Instrument of Accession’. 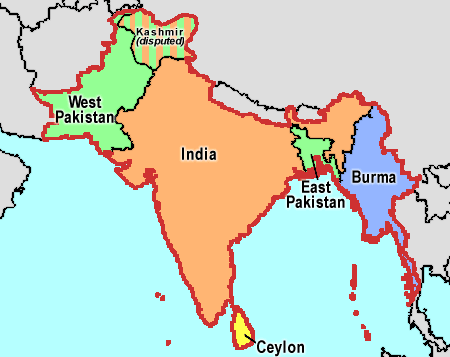 On the other hand, as the partition was traditionally based on religious disputes, Pakistan believes the Kashmir region belongs to them as most of its population is Muslim by 60%. 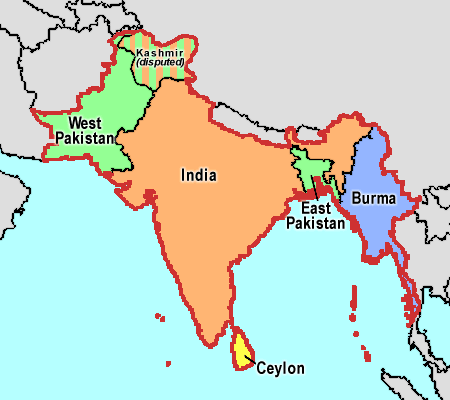 Indian and Pakistani forces had their first war over the region in 1947-8, resolved by a UN-led ceasefire whereby 65% of the region belongs to India and the rest to Pakistan. Although the ceasefire was intended to be initially temporary, the Line of Control remains the existing border and there have been two major wars over this region since. Over time there has been a clear change of diplomatic strategies between India and Pakistan. In the war of 1947-8 the ceasefire was heavily led by the UN, but after 1989 the two nations clearly refused any third-party or UN mediation. 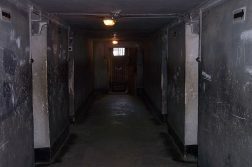 Furthermore, conflicts over Kashmir remain continuous; recently, in April, curfew-like curbs on freedom of movement were imposed across several parts of Indian-administered Kashmir. In this recent event, civilians have claimed that “This is the reason Kashmiris don’t want to stay with India” and MP Fayaz Mir for the Pakistani Democratic Party (PDP) stated that “It hasn’t happened only in this [Indian] government, so there is need to start dialogue to address people’s resentment”. In 1974 India successfully developed her own nuclear weapons, primarily motivated to use such weapons of mass destruction like a currency to achieve international status and power like other superpower nations. A while afterward, Pakistan developed nuclear weapons in 1988 but for a less prestigious cause. The country’s main objective for developing nuclear weapons was for security, especially against India whose conventional military weaponry is superior to Pakistan’s. 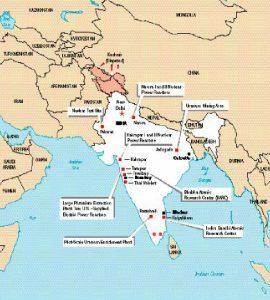 Since partition 70 years ago, nuclear capabilities have significantly impacted the relationship between the two nations and their strategies for deterring conflict. 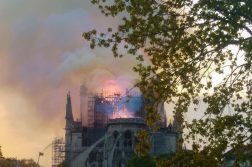 Indian policy makers have adopted a no-first use doctrine, and have viewed the nuclear capabilities of these hostile neighbours less as a deterrent for conflict and actually as encouraging aggressive behaviour. Meanwhile, Pakistani leaders asserted that without its nuclear capabilities it would fail to protect itself from a growing Indian conventional threat. Clearly, both nations have different views on nuclear weapons and their needs for deterrence and in 1999 the Kargil War was one of the very few incidents of direct, conventional warfare between nuclear states. Since March 2017, some nuclear experts have speculated that India could desert its no-first use doctrine to launch a preemptive strike against Pakistan, in the belief that Islamabad was likely to use WMDs first. The driving cause of Muhammad Ali Jinnah’s campaign for partition and the creation of Pakistan in the 1940s was religion. It was believed that although the Muslim population was huge in pre-1947 India, they were still massively deprived by the Hindu and the Sikh population of their Islamic lifestyles and power. Hence the creation of Pakistan – a land where you could truly and fully live your empowered Islamic lifestyle. However, the partition alone could not solve the religious tensions between the Muslims and Hindus and Sikhs. This is expected when the British hastily drew the line of border 10 months ahead of initial schedule for where the Indian (Hindu) and Pakistani (Muslim) people were to live and when Cyril Radcliffe, who drew the map of India and Pakistan, had little knowledge of Indian conditions and had use of only out-of-date maps and census materials. In 2012, a total of 97 people died across India from various riots related to religious violence, according to domestic and international human rights organizations. Last month on July 2017, Hindu worshipers from seven pilgrimages were killed among a fire fight between militants and law-enforcement on the Indo-Pakistani border. Clearly, 70 years later after partition, the Hindus and Muslims in India and Pakistan still struggle to coexist. Hostility, scepticism and antagonism have, since the very existence of these two sovereign nations, shaped the mindset of India’s and Pakistan’s leadership and they still struggle to form a friendly alliance even 70 years on. In light of their nuclear capabilities and their shared concerns over terrorism, extremism, and militancy it is imperative for the two nations to create a better alliance. As stated by Professor of the University of Karachi, Dr. Moonis Ahmar, “The way out for India and Pakistan from present impasse is an uphill task but not impossible… it doesn’t mean that one should abandon hope and optimism for a better future for more than one billion population of India and Pakistan”.